Recent review: The show was very entertaining and more then me and my guests expected. Job well done! 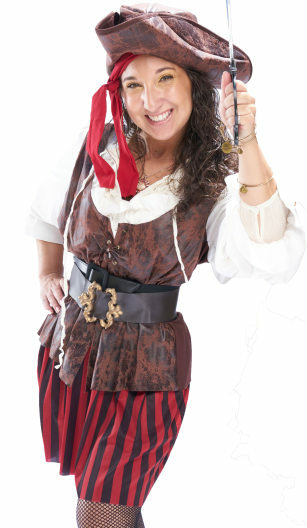 Looking for pirate entertainer for hire to help us in an 800 SF exhibit space, taking photos with guests. Hide your valuables... pirates will soon be invading your party! Hiring pirate entertainment for your next corporate event, birthday party or other special event is the perfect way to entertain your guests. From pirate bands, pirate decorations, and popular pirate characters, you can deck your event out with the best pirate entertainment in town. The ladies will want to take pictures with them, the men will share a glass of rum with them, and the kids can sword fight with a real life pirate! And if the guests get out of hand... you can make 'em walk the plank. Arghh! Search for Pirate Entertainment in Tampa, Florida above. Please note that these Pirate Entertainment may also travel to Gibsonton, Mango, Riverview, Seffner, Thonotosassa, Apollo Beach, Valrico, Lutz, Cheval, Dover, Sydney, Oldsmar, Odessa, Sun City Center, Durant, Ruskin, Balm, Sun City, Wimauma, Trinity, Gulfport, Wesley Chapel, Ozona, Lithia, Bay Pines, South Pasadena, Crystal Beach, Treasure Island, St Pete Beach, and Holiday.